The man accused of ramming his car into a crowd of protesters demonstrating against a white nationalist rally in Charlottesville, Virginia last summer -- killing Heather Heyer -- referred to Heyer's mother in a recorded jailhouse phone call as a "communist" and "one of those anti-white supremacists." Suspect James Alex Fields made the comment to his mother during a call that was played in court as part of the ongoing trial for Heyer's murder. When Fields' mother responded, she noted how Susan Bro "lost her daughter." In Aug. 2017, a group of white nationalists, which included neo-Nazis and Ku Klux Klan members, descended onto Charlottesville, spurred by the city's plans to remove a Confederate statue from a downtown park. Violence broke out as counter protesters clashed with white nationalists, prompting Virginia Gov. Terry McAuliffe to declare a state of emergency. Earlier in the jailhouse call with his mother, Fields claimed that he was "mobbed by a violent group of terrorists" at the Aug. 12, 2017, Unite the Right rally. "They were waving the ISIS flag... they support them," Fields said of the counter protesters. The recording was one of two recorded calls played for the Charlottesville jury on Tuesday. They were also showed texts that Fields sent his mother up to and during the rally. On Aug. 11, the day before the rally, she told him to be careful and he responded "We're not the one [sic] who need to be careful," along with a picture of Adolf Hitler. 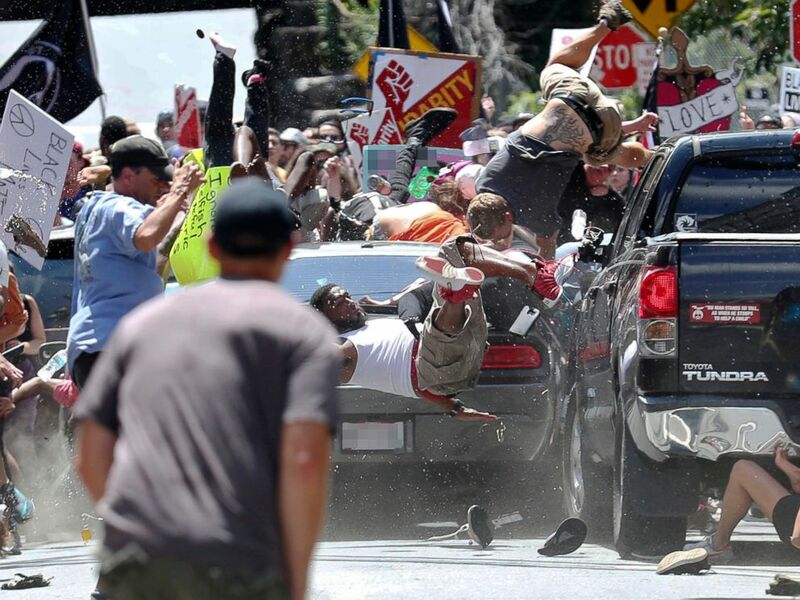 The jury was also shown a meme that Fields posted to his Instagram account three months before the Charlottesville rally which showed bodies being thrown into the air after a car hit a crowd of people, according to the AP. Fields is on trial for the death and injuries he is accused of causing when he drove his car into a crowd of counterprotesters. His lawyer said in court that Fields was "scared to death" after the Unite the Right rally turned violent and clashes had broken out between protesters and counterprotesters, and they have started to build their case around the claim that he was acting in self defense. 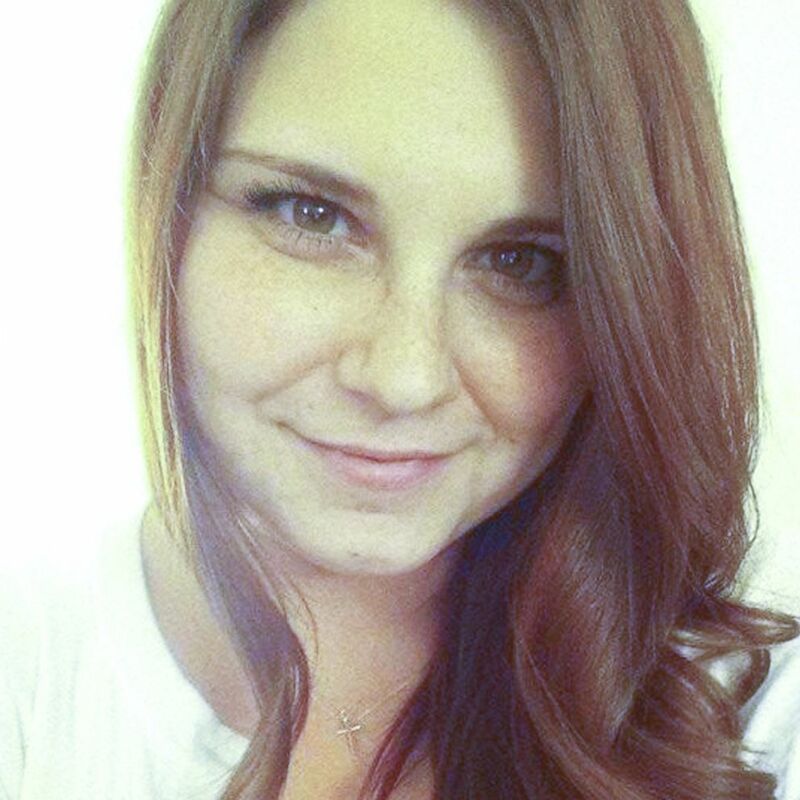 Heather Heyer, 32, was killed when a car rammed into a crowd during a march in Charlottesville, Virginia on August 13, 2017. Body camera footage from the officer who apprehended Fields after the car ramming was also shown in court. According to The Richmond Times Dispatch, Fields could be heard saying "I didn’t want to hurt people. I thought they were attacking me." 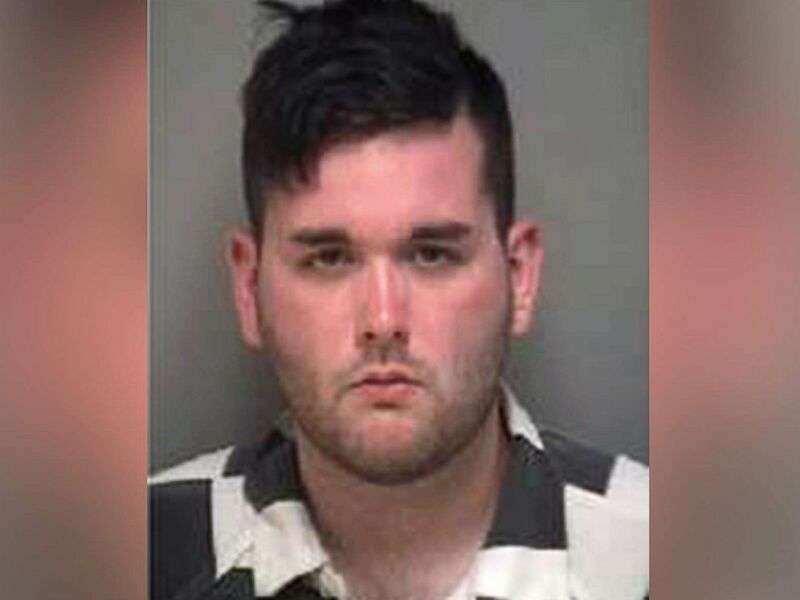 The 10 charges he is facing in this trial in the Charlottesville City Circuit Court are separate from the 30 federal charges he faces that relate to hate crimes. One of those federal charges is eligible for the death penalty. He has entered a not guilty plea in both the Circuit Court case and to the federal charges.